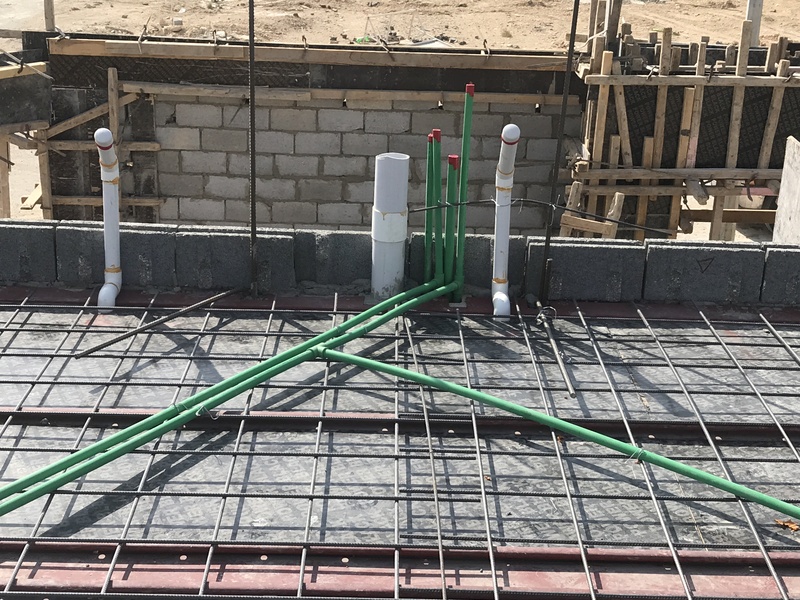 The first plumbing embed is the sewer pipe that runs within the Omni Block wall is slid in a corner block after it was notched for the termination sweep. 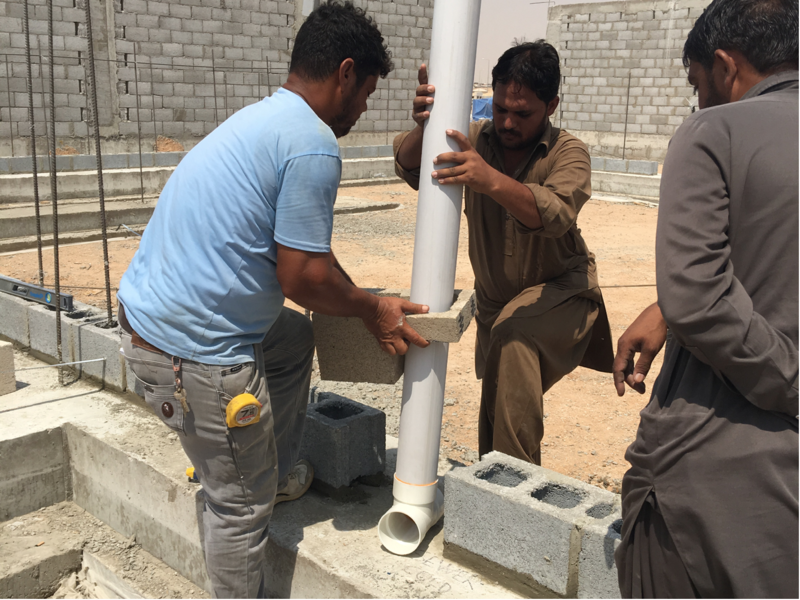 The sewer pipe is set plumb and mortar is used to pack around the pipe to firmly keep it in place. 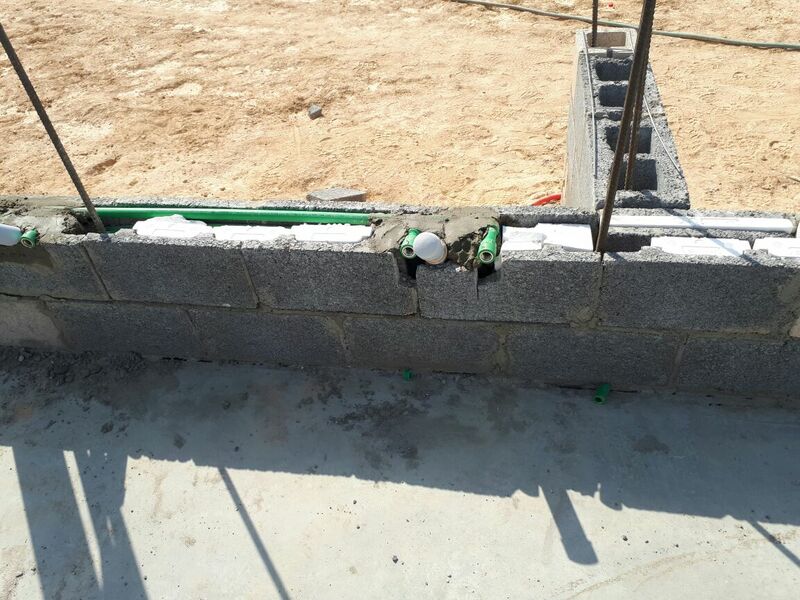 In the future villa construction, sewer pipes will be placed in the interior partition walls. 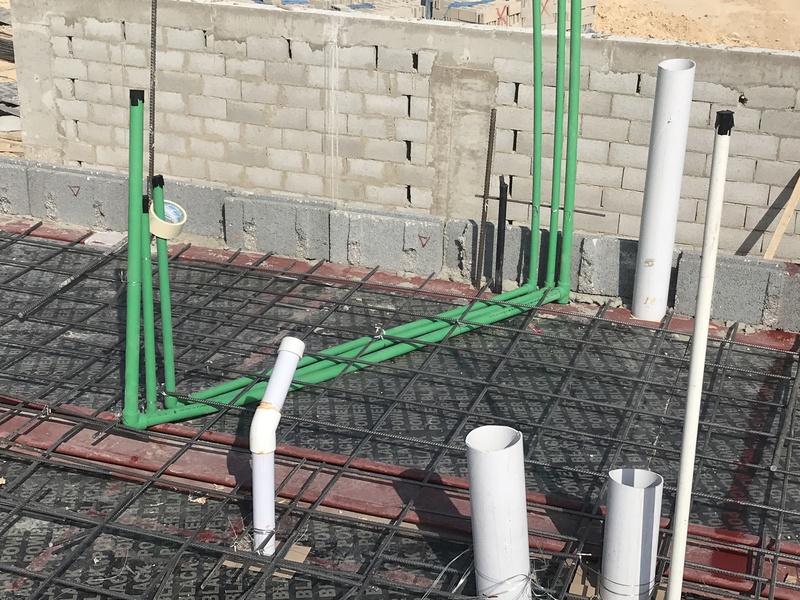 Cold water is brought into the building under the exterior and interior slabs via the use of industry standard water pipe, which is green. 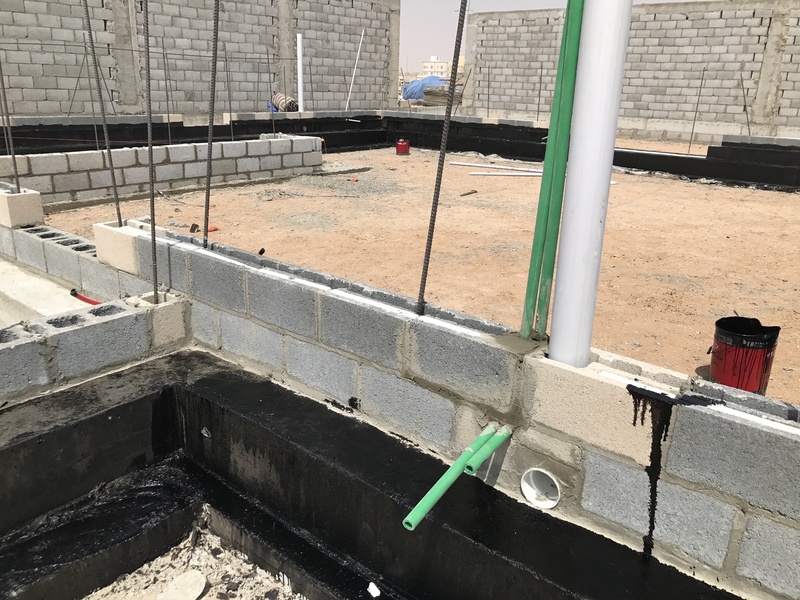 In the second course, the individual sink drains for the master bath are tied to the sewer pipe by the plumber and angled out of the block at the appropriate height. The the hot and cold water lines are run to their respective sinks and water closet beyond as well. 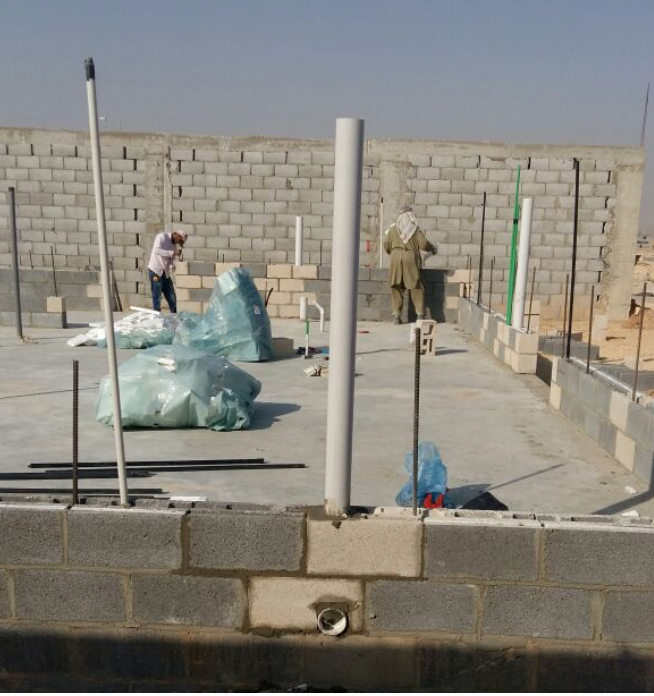 Insulation is then packed around the pipe ready for the subsequent courses of block to be laid. The plumbing is now installed and protected. 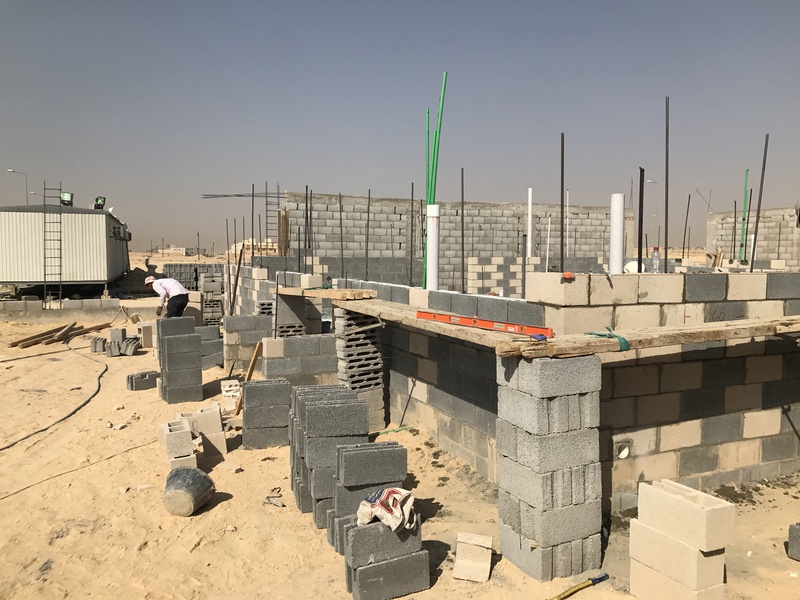 The block wall is up and the sink drains and hot and cold water lines are in place ready for the finish trim later in the construction process. 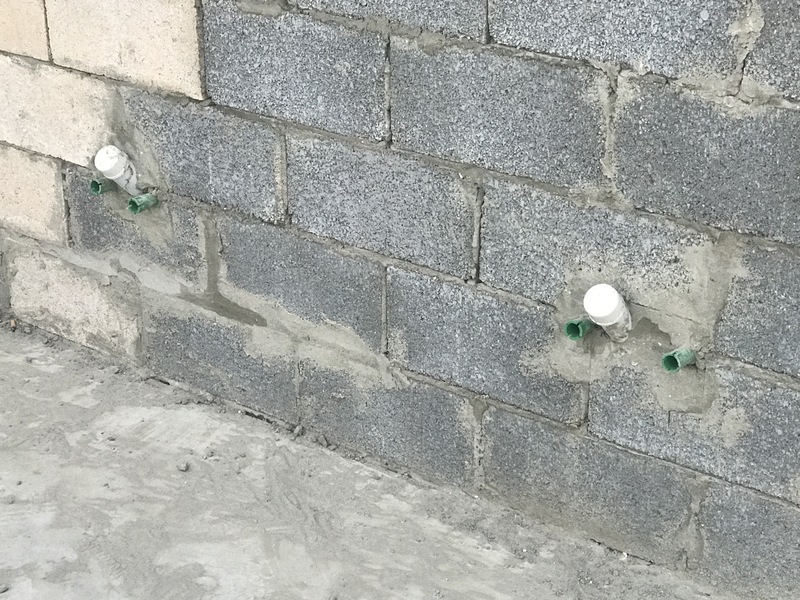 The roof rain drains are installed within the block the same way that sewer lines are installed. 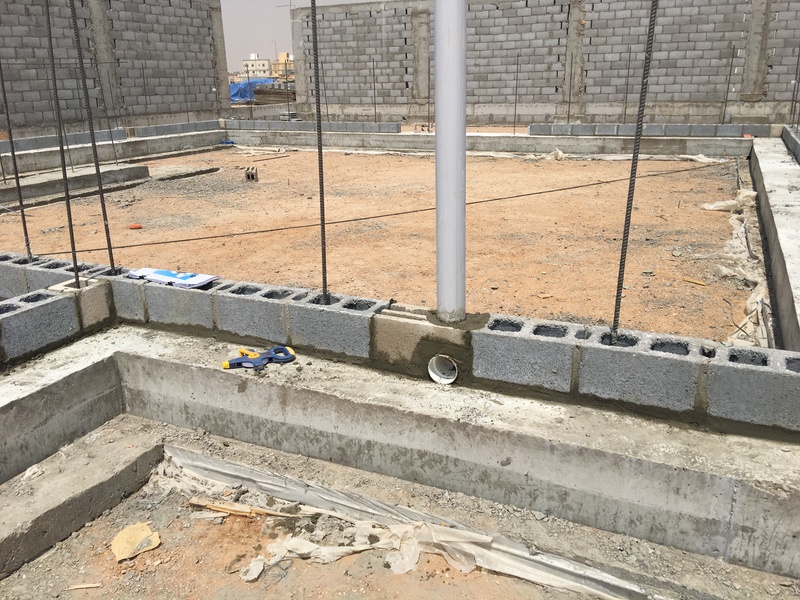 These roof drains are set in the first course above the slab so that the water from the rain drains can run away from the building. As the wall goes vertical the plumbing is extended. 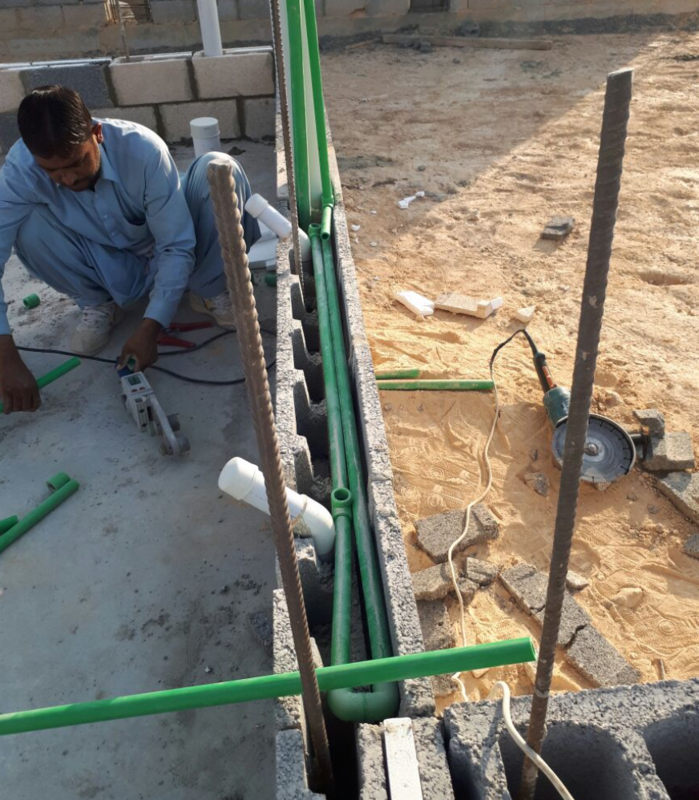 The more flexible tubing is extended higher because that pipe can be bent somewhat to put the block over it. The more rigid pipe (white) is not extended as high. This process is repeated as needed or until stubbed out of the wall. All pipe should be left loose (no grout or foam) in their respective cells to allow for some adjustment as the block goes up. A small deviation of not be being plumb is accentuated in higher courses. 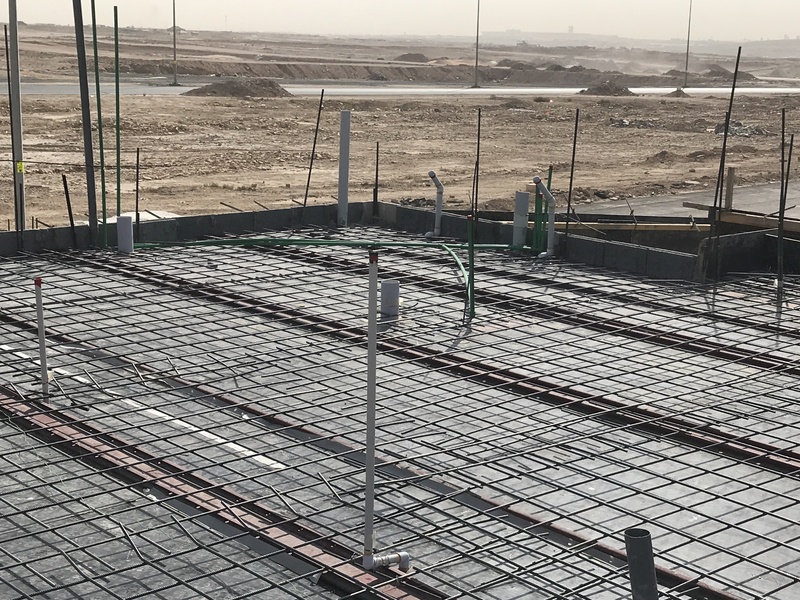 The first floor plumbing is ran to interior partition walls as needed before the 10cm concrete floor is poured.